The Club de Artesanas leaped into action in June and there is a lot to report. Wonderful news! 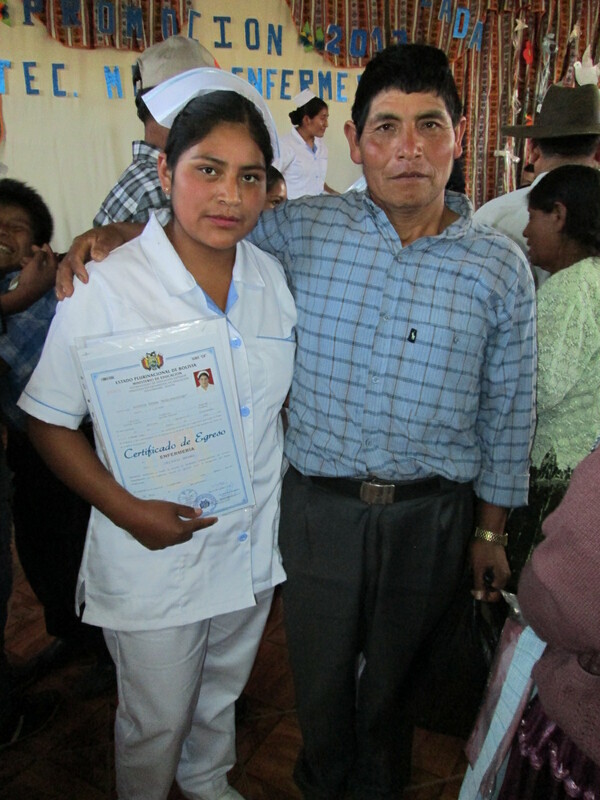 Noemi Chavez Vargas graduated on Friday, June 27th with a nursing technician certification. 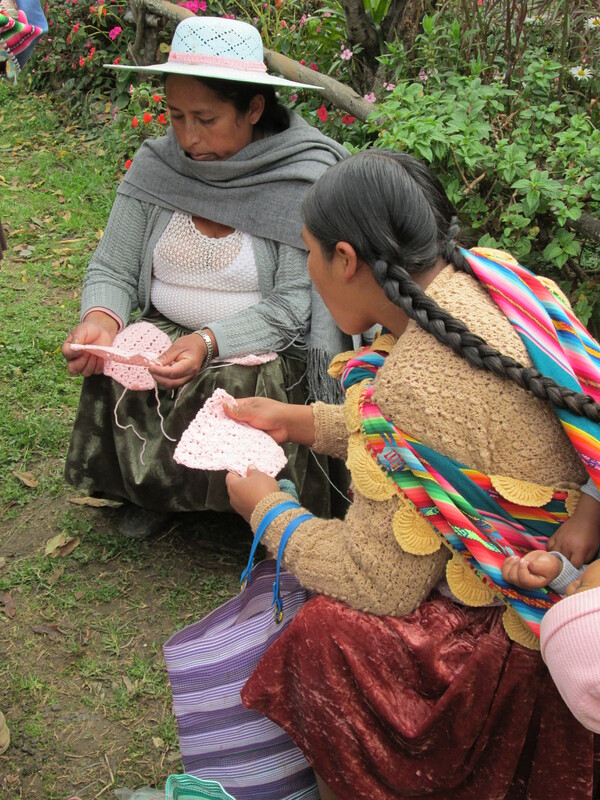 She was able to complete a 3 year program thanks to financial assistance via this blog. Last December, graduation was suspended due to a change in a law regarding the certification of vocational institute programs. Following a frustrating 7 month wait she proudly walked on the arm of her father to take her place with her graduating class of twenty young women. The graduation ceremony was held at the Institute for Rural Education (IER) and all the families contributed to the potluck that followed the ceremony. Noemi sends a big hug and thanks to all of you who helped her achieve her dream. She graduated top of her class. battery of tests to pinpoint the problem. I told his father I would put out another request for financial assistance in the hopes that Joel will be able to enter kindergarten in February. The Club de Artesanas leaped into action upon my return to Independencia following 2 months in the U.S. thanks to the technical assistance of friend Marian Leishman. Her 2 weeks flew by and she left the women with many works in progress. When the women or teenagers in the Club receive supplies to start a new project they must declare what they will learn. Thanks to Pam Perkins and Victoria Johansson who rushed a variety of crochet samples to me before I left the U.S., the Club members have resources they can work from for new textures. More big news…. 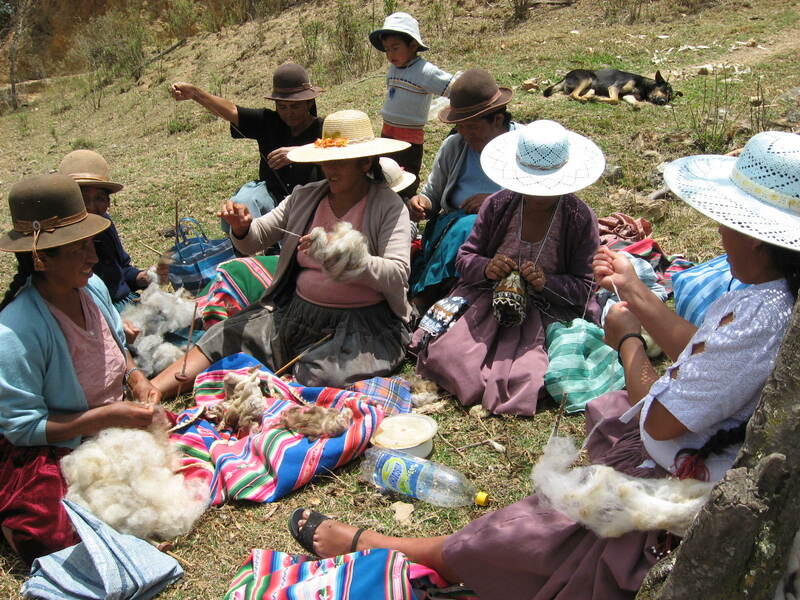 The Huancarani weavers will be entering the Spinzilla, spinning contest this year! Irene Schmoller founder of Cotton Clouds, told me about Spinzilla at the 2013 WARP Conference. It was the inaugural year and over 600 spinners competed on 27 teams in the U.S. At this year´s WARP Conference Irene told me Spinzilla 2014 would be open to international teams. Thanks to WARP member Marilyn Murphy our National Needlearts Association sponsoring organization will be Cloth Roads, a Global Textile Marketplace, http://www.clothroads.com who has supported us in past years by purchasing weavings. It’s taken numerous conversations, but there was definitely enthusiasm last Sunday as a group of Huancarani weavers discussed how to organize potential participants for their team. 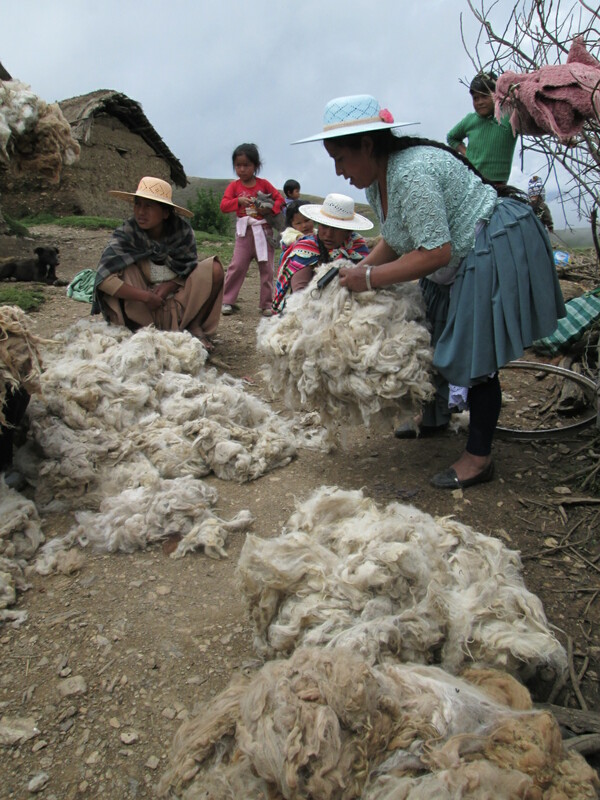 Doña Máxima will be the team captain, and I´m hoping she´ll prepare the alpaca fleece we purchased in January to spin. National Spinning and Weaving Week, October 6-12, will be the week the teams of spinners compete to see who can spin the most yarn. 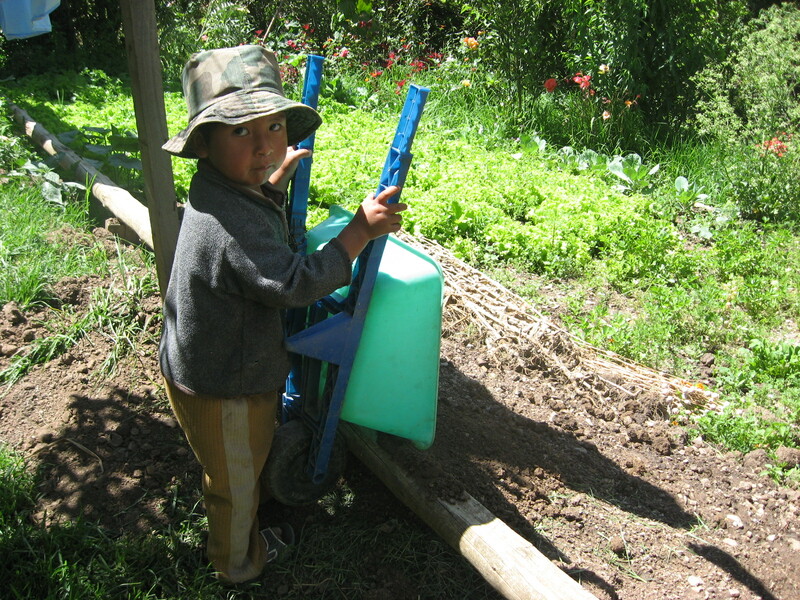 We will need help to finance the expenses which are $10 per team participant ($250), and $130 for 2 trips between Independencia and Huancarani ($380). An advance THANK YOU for helping the weavers compete in this international spinning competition. Cloth Roads has handled the registration of the Independencia spinners and the registration fee. Thank you!